Well, I find myself tagged once more – this time by Gary, who runs a blog called Art of Redress. It’s a great blog with a lot of interesting articles about gaming in its formative years. I learned several interesting facts from reading them. Anyway, here are the questions I was made to answer. I want to say the earliest gaming memory I have is playing Super Mario Bros. with my family at age three. I was watching my brother play and he kindly gave me a turn. Nearing the end of 2013, I was describing the various games I’d played to a friend. When I was describing my playthrough of The Last of Us, I realized what I was writing was turning out a lot like a review. After getting a few pointers from a web design class, I decided to start Extra Life in May of 2014. I started by posting two reviews I had written: one of The Last of Us and the other of the Japan-exclusive Live A Live. 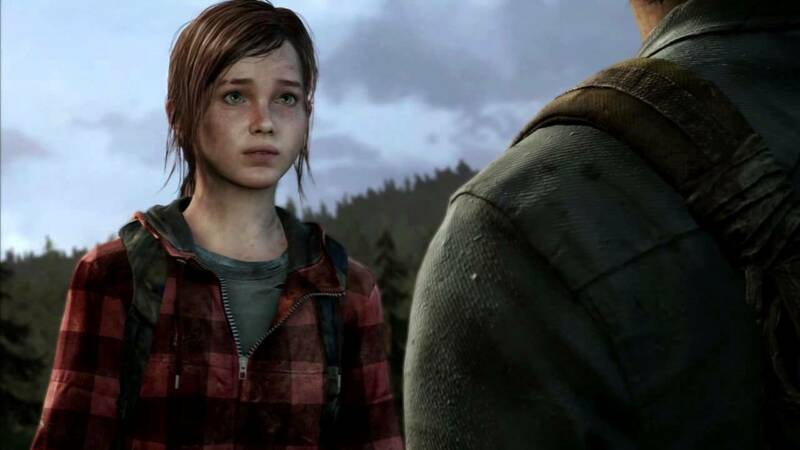 Playing through The Last of Us was what caused me to want to get my opinions out there because one of the first games I’d played that utterly failed to live up to the hype. I had similar opinions on Mother 3 and System Shock 2, but this was one of the first times I felt that way about release that fully injected itself into the mainstream. While proponents celebrated it for being such a major step forward for video game storytelling, I felt it demonstrated the medium’s lack of self-confidence. Discounting that, I was generally dissatisfied with the way gaming journalists approached their craft. Mainstream outlets tended to lack any serious critical scrutiny in their critiques, and it was easy to make the argument that they were uncomfortably close to the developers themselves. Some have argued they were responsible for certain independent works taking off, but I don’t quite believe that to be the case. Indeed, I could honestly believe that Undertale, my personal favorite indie game as of this writing, became a hit without their help. I remember looking through Polygon’s articles thinking that if they could give a perfect 10 to Gone Home, they would have given Undertale positive coverage as well. I was then taken aback when I discovered they hadn’t bothered to review it at all (or if they did, I couldn’t find it). Meanwhile, independent critics didn’t fare any better – preferring to unprofessionally lambast anything that came their way for the sake of comedy. Theirs was an ethos that seemed to promote attitude and ego over actual, meaningful discourse. While it’s possible to use such negativity as a means to an end to get a point across (e.g. Old Man Murray), for a majority of them, it was the end itself. So rather than writing screed after screed denouncing what’s wrong with gaming journalism, I felt it would be more productive to be the change I wanted to see happen. Though I began exclusively writing either positive reviews of obscure games or middling/negative reviews of well-known ones, I eventually broke the pattern when I realized that because of the level to which gaming critics hype AAA products, it can be difficult to tell what’s is and isn’t worth one’s time. There’s also the propensity they had to insist the works of yesteryear are superior to current efforts when in reality, quite a lot of them haven’t aged well. Therefore, I realized that writing positive reviews of well-received games isn’t a waste of time. 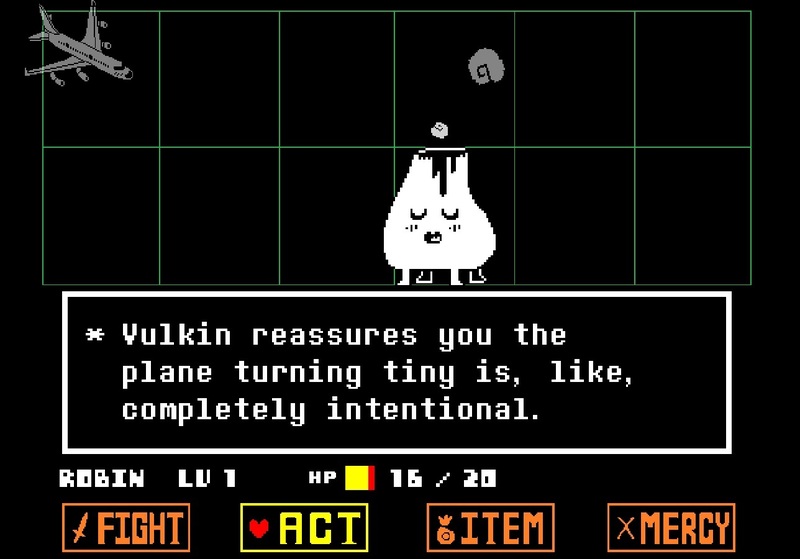 I think the major turning point for this occurred in early 2016 when I managed to convince a friend of mine to play Undertale after reviewing it, as he was a bit skeptical of trying it out in the face of its fanbase. Nowadays, I don’ t have a limit on what games I decide to review, for I find all of them interesting to discuss in one way or another – even the boring ones. I honestly can’t really think of one. At times, I wished the PS4 was portable, but being tethered to my television screen isn’t too much of a setback. 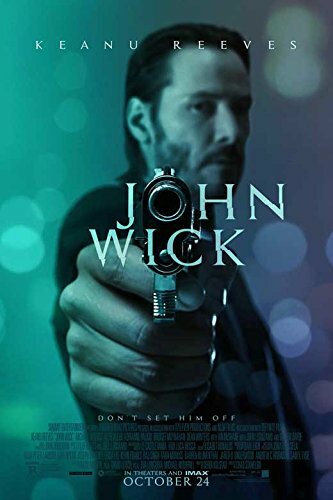 As I said in one of my previous posts, I think John Wick would make for an excellent video game adaptation. It practically is a first-person shooter plot fresh out of the box and because John is written the way he is, I can buy him gunning down a lot of people (unlike, say, Nathan Drake), meaning the contradictions between the gameplay and story would be minimal. Such a task should be handed to a competent developer such as Bungie, id, or MachineGames. Question 5 – Do you have a games room/corner? If so, let us see it and show your favorite thing in there? I wouldn’t exactly call it a game room. It’s really more of a den. Despite being where I usually play games, it’s not really themed as such; it’s not as though I cover my wall in game posters. I have two cats, though I didn’t name either of them. I think if I were to name pets or kids, I doubt I would actively name them after a fictional character. If it turned out that way, it would be a coincidence. The same thing that drives me to see a film through to the end. Now that I’m in the habit of reviewing the games I play, I have an extra motivation for doing that. After all, one of the biggest weaknesses with gaming critics is that they judge games without having finished them. This approach worked in the nineties when games were very much on the gameplay side of the gameplay/story dichotomy. However as storytelling in the medium improved, the approach became untenable. As it stands, parsing games such as Undertale, OneShot, or Nine Hours, Nine Persons, Nine Doors without completing them would be like if a professional film critic left thirty minutes into their personal screening and wrote a review based off of what they saw. There is no way such an approach would work in other mediums because the critic would almost certainly leave important information out. That was a fun tag. Thanks again for the nomination, Gary! Thanks for responding! Re point 2, I think it’s great all the different viewpoints blogs give us. For example, I grew up reading Mean Machines and would get disheartened by Jaz Rignall saying most games were easy…I didn’t realise at the time he was a former arcade champ and world record holder! I agree. I can imagine most games would seem easy to a world record holder, but I’ve found them to be enjoyable even if they would be considered to be easy. Games were made difficult back then to make them last because if you knew what to do, they were remarkably short. Personally, I like that most games these days have difficulty levels. That way, the punishing challenge is there if you want it. Being the change you want to see happen is always the best thing to do, but a hard task to take all the way through, so congrats on doing it quite well! Thanks! I’m glad I managed to make it this far. We’ve seen a lot of bloggers drop off the radar within that time, haven’t we? You’re welcome! Hope you enjoy doing this tag. Great questions and great answers. I think when it comes to reviewing games it’s kind of hard to do so without entirely completing the games. I have always been a skeptic myself when reading reviews. I am almost done with Virtue’s Last Reward, if I didn’t try to complete the entire game, I don’t think I could appreciate it as much. Thank you for the nominating me. It seems like a fun tag. I know what you mean. I have read or watched a few reviews that make it painfully obvious the writer didn’t finish it. It proceeded to blow up in their face when they either dismissed an obscure gem or failed to acknowledge a glaring flaw in a AAA title. And yes, it would be inexcusable to review a game such as Virtue’s Last Reward without finishing it. Again, that would be like reviewing a book simply based off of its synopsis on the cover. You’re welcome! I hope you enjoy doing this tag as well. Hi Red Metal, Thanks for the nomination 🙂 I look forward to exploring these topics and sharing them on my site. Interesting to hear about what got you into blogging and gaming, I like your perspective on game reviews and completely agree about mainstream outlets, it is hard to trust alot of professional reviewers these days I think! If anything, I’ve found this sphere to be much more trustworthy than mainstream outlets or any prominent independent critic. The former faction tends to not be upfront about their craft while the latter faction loses sight of what’s really important too easily. Had fun reading your responses to these questions. I agree that a John Wick game needs to happen. The character has already appeared in Payday 2 and Fortnite, so let’s see him in his own game already! Also, I agree with the bit at the end where you talk about how a game needs to be completed in its entirety in order to critique. Gaming has come a long way in terms of storytelling, so it’s crucial to play a game through to the end before delivering a review. I learned my lesson with Persona 5. Love the game, but it’s too damn long and has a ton of pointless filler. As I said, that approach worked back in the nineties when games were shorter and you could rely on them to be good throughout (there would be no reason to believe Super Mario World’s final stages would be a major dip in quality, for instance). And that’s probably one of the worst trends in AAA gaming right now – that need to make them a hundred hours long. In 99% of those cases, you could probably cut out half (or more) of the content and not miss out on anything meaningful. In reality, I don’t think people care how long the games are as long as they’re fun to play or have an interesting story to them. It’s like how moviegoers don’t feel ripped off for being charged $10 to see a 90-minute movie when last week they paid the same amount to see a 3-hour one. Indeed, one of the few things I do give Naughty Dog credit for is that they don’t pad out the length of their games (or at least not to the same extent as their contemporaries – I remember one sequence in Uncharted 3 that could’ve been cut out entirely). Great read, as always. But what’s this?! No mention for yours truly?! Unfollow! 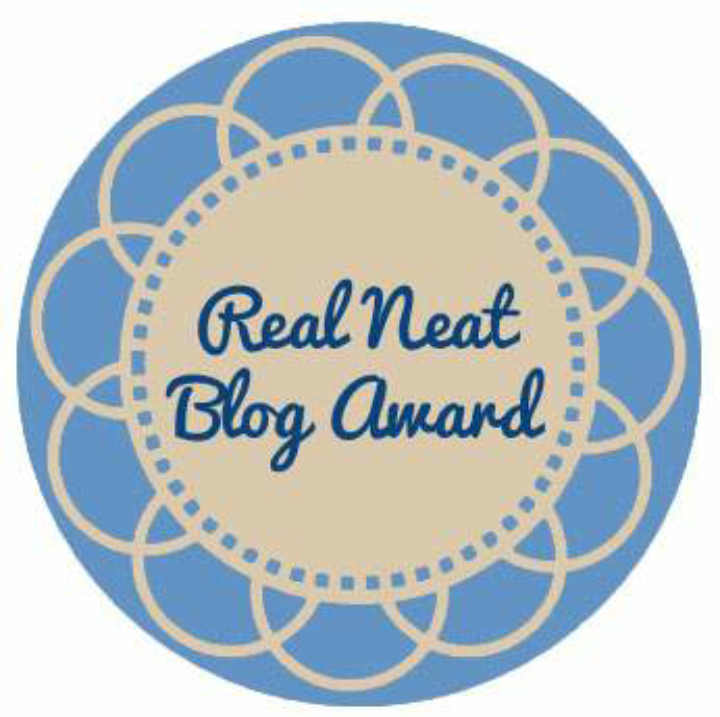 Anyway, I will get to answering the previous questions you asked me in the other blog awards. I was going to in my 700th blog, but it was already so long and I was writing it really late. Hopefully in the next few days I’ll do a continuation of that and post my answers. You were tagged last time, so I figured you had enough on your plate as it is. Plus, I tend not to tag the same people twice in a row, and last time I tagged more than fifteen people. I look forward to seeing your answers to that tag! It was really interesting reading what you said about games journalism. Although there are still a few publications I regularly go to for reviews and commentary, I now normally find it much better just to read reviews on blogs I like and trust – you often get much better coverage of a wider range of games than on big games websites and magazines. I agree – this sphere is much more trustworthy than any major outlet or prominent independent critic when it comes to discovering new games. I think another problem they have is that they really don’t seem to have much respect for their audience (and this even extends to certain developers). If one is to make an argument that a game is/isn’t worth someone’s time, one needs to respect their audience to convey their ideas properly. The popularity of the AVGN is probably what inspired independent critics to bash bad games for comedic value. His legacy has even spread to Let’s Players who have noticed that ridiculing terrible titles attracts more hits than playing a decent game seriously. He probably is the catalyst for that trend, though people inspired by him seem to miss the point in that what makes his anger over a given game hilarious lies in how over-the-top it is. I would say Yahtzee is responsible for that kind of mentality being applied to good games, however. Though I have enjoyed some of his reviews, I also have to admit it was probably an overall net negative impact on the independent criticism circle. In all honesty, there’s even a good chance this mentality isn’t new; I highly doubt film critics were handing perfect grades out like penny candy until the nineties or so (and I know music critics weren’t). I heard that reviews of Raging Bull were mixed back in 1980, and I’m positive that’s not the only example. The thought of reviewing something without playing it the whole way through… yeah. If it’s a relatively quick way, no reason to do that. If it’s a long one, then there’s generally enough plot or gameplay complexity that the experience will change by the time you get to the end, so you’re lacking something if you don’t finish it. I can see still putting a review together in that context, but at least be up front about it. You’re only reviewing parts of the experience in that case. You have a good point; if critics made it clear that they were talking about what they had experienced of a game so far rather than the experience as a whole, they would solve a majority of their problems. As it stands, too many of them pass off what amounts to a first impressions article as a review, and that’s where they get into trouble. As you say, it’s inexcusable for a short experience, but it’s equally untenable for a longer one as well. In my mind, Metal Gear Solid V is a prime example of a game getting critical acclaim across the board as a result of the critics’ negligence. In any other medium, critics would have rightly called out such a work for obviously not being finished. Thanks! In fairness, that is a highly appropriate name for a bearded dragon.